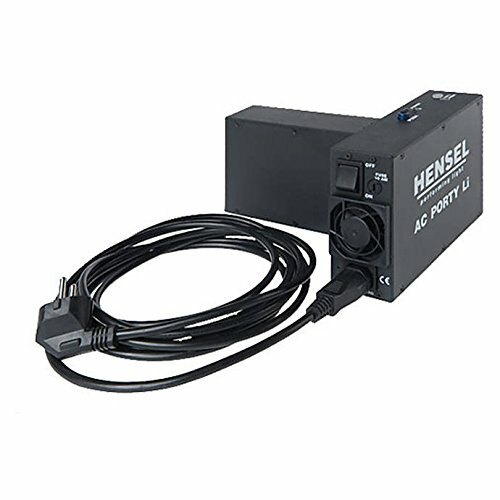 Charge your Porty L 1200 an L 600 batteries conveniently on the spot with the Hensel AC Porty Mains Adapter Drawer. It supports both 110-V and 240-V electricity systems, and can be switched to either mode to suit your needs. For future reference, this adapter drawer retains the performance data of the Porty L battery. For added practicality, the Pro Mini Porty and Pro Mini heads can be used simultaneously, and the adapter drawer is pluggable for lightning-fast use. Moreover, this adapter drawer has a metal housing and features an immensely quiet fan, which cools down the adapter drawer efficiently. Shopping Results for "Porty Adapter"